The demand for natural gas just keeps growing. Natural gas has already overtaken coal as the leading fuel for generating electricity, while American industry is increasingly replacing coal with natural gas and shale gas in manufacturing. In addition, there is growing demand from other countries for the U.S.’s abundant natural gas. The U.S., which is the world’s largest gas producer and consumer, is predicted to continue providing 40 percent of the world’s extra gas production into the next decade. Work in the production of fossil fuels has always been cyclical, with booms and busts, depending on supplies and demand. But there’s no denying that natural gas will continue to be in demand as long as supplies last, particularly since it burns cleaner than other fossil fuels, producing fewer of the hydrocarbons that contribute to climate change. It is also abundant and relatively inexpensive, and is more efficient than other fossil fuels. Plus, with the development of hydraulic fracturing, or fracking, as a means of releasing hard-to-get-at natural gas, new supplies have been made available that will ensure a steady supply for many years. But how safe is working with natural gas in outside distribution systems and inside piping? Natural gas is odorless and colorless. As almost everyone knows, a substance known as mercaptan — distinctive for its sulfur smell — is added to the gas so that people can detect it. The natural gas that we use in homes and businesses is known in its raw form as methane. Other substances found in it are propane, ethane, and butane, all of which are removed before it is used as natural gas in equipment or appliances. In general, it is very safe to use, having a limited range of flammability and requiring just the right amount of natural gas and air before it burns. Natural gas is lighter than air, so it rises safely and disperses into the air when allowed to freely vent. Asphyxiation is the most common type of fatality associated with natural gas, but carbon monoxide poisoning is also a major concern. Although you can smell natural gas, you cannot smell CO, which is a byproduct of the combustion process involving natural gas. Proper inspection of equipment and good regular maintenance help to prevent CO poisoning. Anyone who works with gas systems will need to be familiar with OSHA (Occupational and Safety and Hazard Act) regulations. Employers and managers must make sure that workplace conditions conform to OSHA standards. It may be that you will need to post an OSHA poster informing employees of rights and responsibilities, and perhaps notify employees of potential hazards having to do with the gas systems, as well as how to handle emergencies involving gas systems. 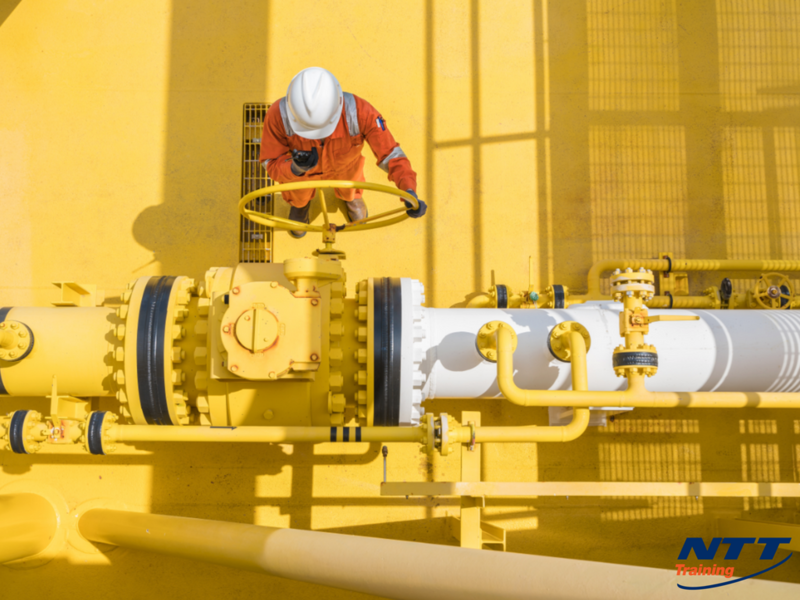 To ensure the safety of those working with natural gas systems, it’s important that employers provide training, particularly in outside distribution systems and inside equipment piping. Among those who should take safety training are the owners and managers, maintenance technicians, building engineers, environmental health and safety personnel, HVAC technicians, plant and facility technicians, and safety directors. Further, a well-trained and safe worker should know the physical properties of natural gas. The training should be designed to increase the reliability, efficiency and safety of all systems involved with natural gas production. NTT’s three-day seminar in natural gas maintenance and safety offers anyone who works with natural gas systems a hands-on way of learning safety procedures through lab and classroom instruction as well as on field trips. In this “learn-by-doing” format, participants can easily absorb the information as it is presented, facilitating the transfer of knowledge to the workplace. To learn more, connect with us today.